For many years, I’ve looked at the size of commercial buildings in the local area, surprised at their low capital values versus residential properties on the same street of an equivalent size (or adjusted on a per foot basis); I regularly thought to myself that there must be mileage in converting these buildings into residential. How was it that the values of these buildings drifted down when residential was rising? Why were so many empty? Surely there was an opportunity for arbitrage here? Faced with a growing disparity between housing demand and the supply that builders were able to deliver, the Conservative government of the day, led by David Cameron, had one of those moments when they actually did something that genuinely helped those trying to get onto the housing ladder and the economy at the same time. Unlike their default ‘all show and no go’ promises, which usually amount to schemes that create headlines but involve tiny drops in the ocean-sized sums relative to the size of the market into which they are injected that have little real effect, these actually have substance. The stroke of genius was creating incentives to generate the development of brownfield sites to make better use of what had previously been developed but was no longer relevant in its current use, while finding a way to sidestep stodgy local councils and their means of stifling development. As one of the cornerstones of this new strategy, in 2013 they introduced permitted development rights to convert B1(a) offices to C3 residential, without the need for the frequently onerous planning permission or cash contributions to the council that usually precedes a conversion. These new permitted development rights, coupled with the especially depressed values post-recession, meant there was a good, low-risk opening that I felt we could take advantage of. After making one of the first (if not thefirst) applications of this type in Peterborough in 2013, the green light was issued swiftly and the building was converted into just under 25 apartments, which were sold at a healthy profit. Knowing that there was a finite number of buildings in the city that could be converted, I knew that there was a window to purchase and convert these. With most agents unaware of the value (or even existence!) of these rights, I didn’t volunteer too much information on viewings, keeping critical information flow minimised. Once they worked it out, every agent in town seemed to be telling those viewing the properties how to apply for prior approval on these buildings – or even getting owners of these buildings to make the application themselves, upping the value of the building. This led to streams of people viewing these properties like headless chickens! A series of commercial to residential projects have followed, in which we have performed a mix converting commercial buildings (lots of pubs) into residential which Rob & Ihave sold, along with a number of cluster flat projects, which create much higher yields that we like to keep. Unfortunately, the government’s record subsequently reverted to form, introducing nonsense such as clause 24, which limits the amount of mortgage interest landlords can offset against rental income. A classic example of government promoting ill thought through statute, from which a host of unintended consequences will flow, causing bigger problems later. By responding to the whims of the Daily Mail and The Guardian rather than creating policy that will reward landlords who provide better conditions for tenants with certainty, they have created a mess. In the long run with this policy, which will likely prove to be disastrous, rents are likely to soar and the quality of property in the private rented sector will fall significantly – if the policy is retained or not amended significantly, which with time, seems like a likely scenario. As well as the low cost of commercial buildings for every foot of space when compared with residential properties, they offer some major benefits when looking at development. Frequently, agents’ details show the floor area net of corridors, toilets, plant and other non-office/commercial space, often known as the net internal areas or NIA. Although this is now changing, the gross internal area or GIA is more relevant for conversion. As modern apartment buildings require less plant, smaller corridors and no toilets, and development can often extend to loft or other storage areas, buildings can be a lot bigger than the agents’ details show. As commercial buildings are usually valued by floor area, this is a big thing to keep an eye on. 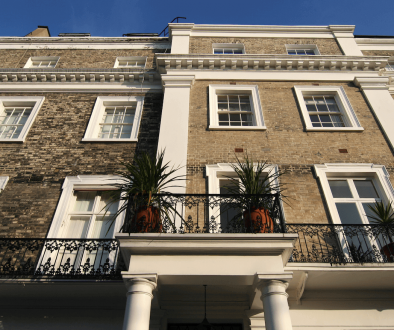 Often I have bought buildings in the past because of the way an agent has measured the building, increasing or decreasing its size – and therefore value – in the eyes of those competing to buy it. The amount of saleable space that can be generated from the building vs. what the building cost to purchase vs. the area in which it is located per foot is what matters in the end, more than a lot of other noise that flows around the marketplace. Large commercial buildings can frequently have floors built on top of them, depending on the structure of the building, what area the building is in, what is either side of the building and considerations like key views in the local plan, such as those of a Cathedral. Lots of other commercial building types have seen their relevance diminish. Many nightclubs are sitting empty across the country, such has been the shift away from people using them; this is largely down to the change in licencing laws – people don’t have to leave the pubs at 11pm and move onto a club, so demand for them has reduced. Pubs and bars now open later and have variable closing times, so people don’t all end up on the street at the same time, and we see a reduction in fighting and anti-social behaviour. The smoking ban hasn’t helped clubs or pubs either, as many stay at home so that they can continue to smoke. Restaurant chains have also grown significantly through this period, with private equity groups aggressively rolling out chains such as Pizza Express, Wagamama, Côte Brasserie and Bill’s, to name a small selection. With new world choices such as these, people seem to be socialising in different ways. And the excess consumption of alcohol has subsequently reduced, which can’t be a bad thing for any of us, not least the NHS. 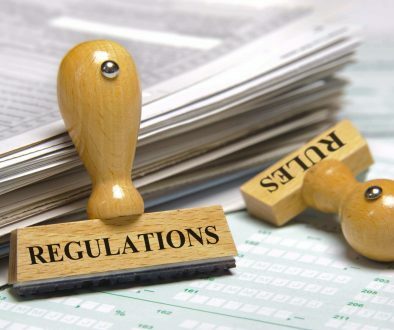 Care homes would fall into a similar category: many have gone out a of business because of local authorities changing their requirements and rules around who can provide care and the levels to which it must be delivered. A previously booming industry (which it still is for some stronger, more specialised operators), more and more is demanded from care operators without them necessarily having the revenue to support the level of regulation present in the industry. An increasing number of operators have also entered the market offering care in people’s homes, which seems to be popular. With so many scandals concerning the deficient – and sometimes criminally deficient – care of old people in some homes, public confidence in these homes has been seriously knocked, causing a number to close. One project that I undertook was the refurbishment and conversion of a failing pub into cluster flats. As an apartment building laid out as one or two-bed flats, it would have been big enough for about six apartments, generating a rental income of around £40k per year. Converted into three cluster flats that total 18 rooms, the building generates a gross rental income of around £90k per year. The resulting value of the building as flats would have been around £600k, but as a co-living type of building with the better income this generates, it was valued at £900k. This illustrates the benefit of creating cluster flats for professionals in some locations. Many other commercial buildings have seen a premature end to their useful lives come about in recent years too. Many retail spaces have disappeared with the onset of the internet, and while industrial space has let well post-recession due to new operators supplying goods online, many high street operators have suffered. This has meant that the ‘uppers’ of many of these properties can be converted to residential, as there isn’t much use for many of them otherwise. Architects either make your position much better or worse, depending on whether they are good or not, and depending on whether they are working for you or somebody else. The difference between a well laid out scheme that minimises circulation space and maximises circulation space that the council would be happy with is huge, and can turn a loss into a good profit. Frequently, offices in particular are priced for sale with prior approval already obtained for conversion to residential. This can make the vendor’s price aspirations unrealistic and usually increases competition for the building. The irony is that a well laid out scheme that ‘sweats’ a building that already has prior approval for conversion using permitted development rights is probably not something you want to be pursuing. Much better is when an architect draws a bad, inefficient scheme with large flats that leads to them having a comparatively low sale value per square foot. Even better is when no planning consent has been obtained for development on top of the building or for any extensions that look like they may be possible subject to obtaining full planning permission. As many people looking to purchase schemes like this will end up bidding for them based on the existing layouts, these can be amended later through a subsequent application, thus increasing the gross development value of the project and profit within the scheme. Commercial buildings often have gas, water and/or electrical supplies, which are over-specified for residential use. It is therefore often the case that services don’t need to be significantly upgraded, unlike with new build, where services often need to be put in in their entirety. Traffic movements in residential buildings are usually less than in equivalent-sized commercial buildings, removing issues that councils sometimes try and use to stop a development taking place. 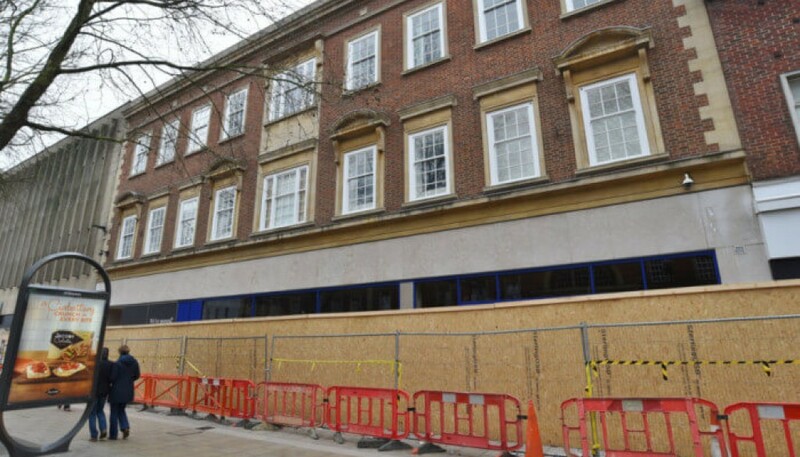 Almost all offices will, however, require new windows, upgraded thermal, fire and sound proofing to meet current building regulations, which will have significant cost. Ground works are often also minimal on commercial buildings. They frequently come with large car parks, roads and landscaped areas to varying standards of finish and maintenance. 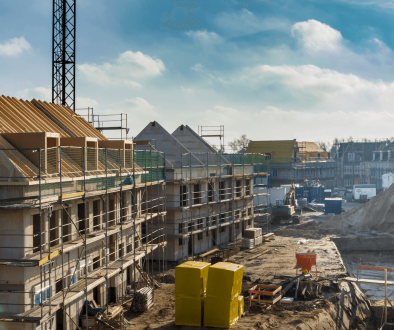 The reality is that you don’t need to spend anywhere near as much on these areas as you would on creating them from scratch for a new build development. Commercial buildings are also usually designed to take greater loads than residential buildings. In simple terms, most structural engineers will tell you that you can place about 1.5 floors of residential on every floor of commercial. Depending on various factors, including the type of structure or frame and the foundations, this often means that the existing building will support at least one or two extra floors on top, without major changes to the existing structure. This is often where the profit is made on these conversions, and it is frequently an area that is missed by those looking to purchase such buildings.